Can You Spot the Differences Between These Four Zebras? 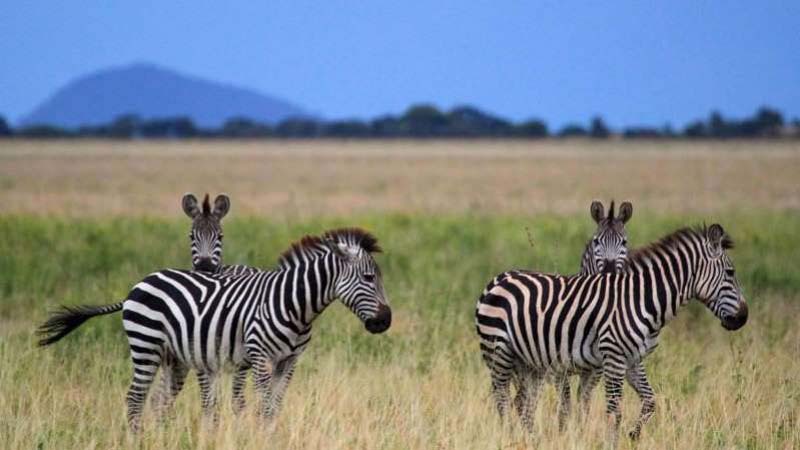 There's something weirdly identically about these zebras, as they group together in a hilarious spot the difference pose. Snapped by Amelia Costello from Piedmont, California, while she was on a family holiday in Tanzania, the herd can be seen perfectly lining up, enabling onlookers to play a game of spot the difference. 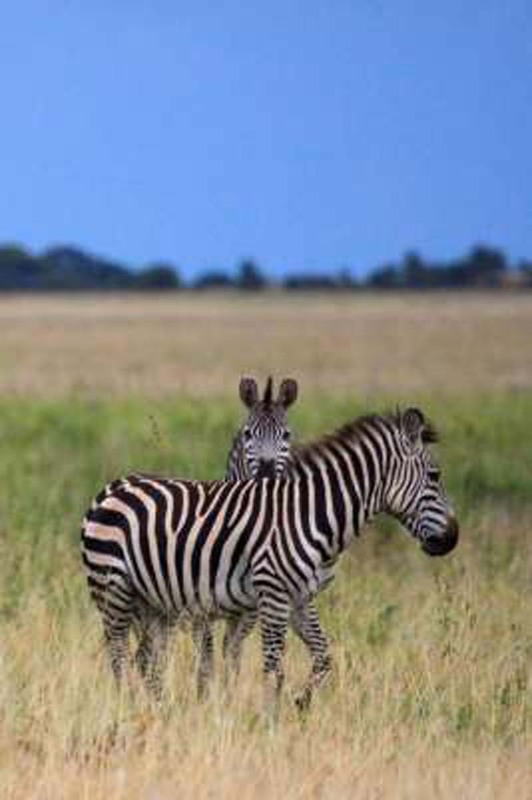 Amelia, 16, said: "I noticed that many of the zebras were paired up and resting their heads on each other (something that I would see frequently throughout the rest of the safari), and I knew I had to get a photo. "Somehow everything aligned perfectly and I was lucky enough to get this shot with the two pairs in almost the exact same pose. "When I saw this photo on my camera, I couldn't believe how fortunate I was to be in the right place at the right time like that - it definitely felt like a one-in-a-million shot!" 1. Ear (up on front right zebra/down on front left zebra). 2. Color difference (front left zebra has more white/front right zebra is tinged brown). 3. 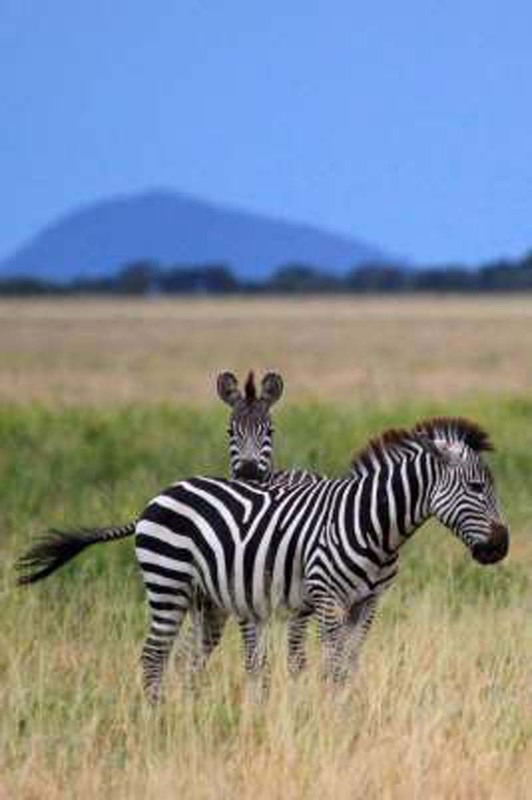 Front leg is bent on the front right zebra. 4. More neck on shown on rear right zebra. 5. More body on shown on rear left zebra. 6. Tail (the front left zebra's tail is visible, the front right zebra's tail is hidden). 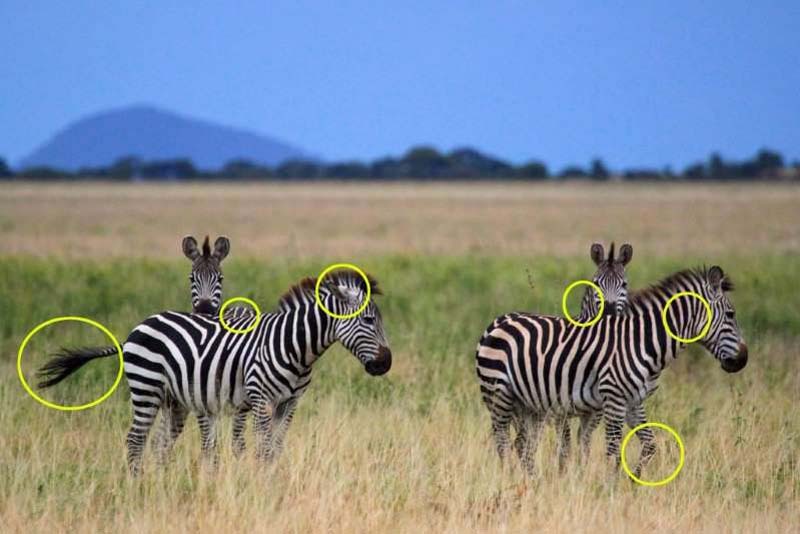 Pets Magazine: Can You Spot the Differences Between These Four Zebras?